Hi everyone! 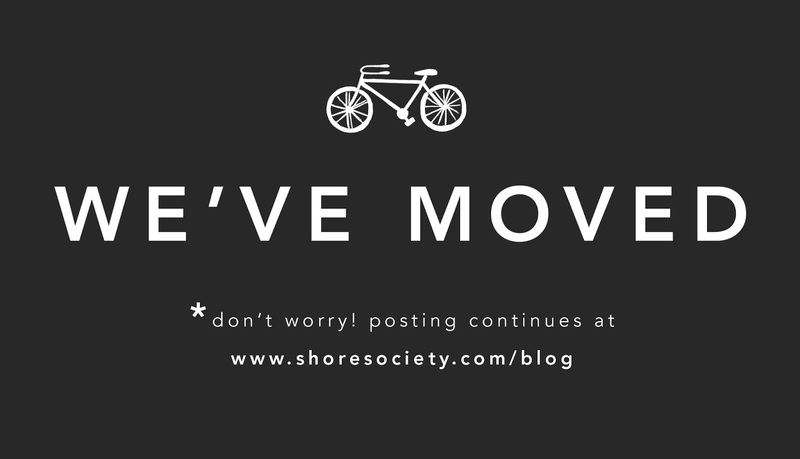 Just a quick note that this blog will be moving to a new address! I've been meaning to do this for a while and have finally completed the process. The full archive will continue to exist here, but all content has also been imported to the new site. I have wanted a more integrated home for the Shore Society brand, and hosting the blog on my main site will make it easier to follow along with the shop and the blog. You will also be seeing more studio-oriented content as I expand the blog — with design tips and behind-the-scenes peeks. For those that follow with Bloglovin', the blog address should be automatically updated without you having to do anything. All new postings will take place over on the new page, so be sure to head there for everything new!